The 12th English Friday's theme is Your Means Of Transport . I can say that I am truly a biker. 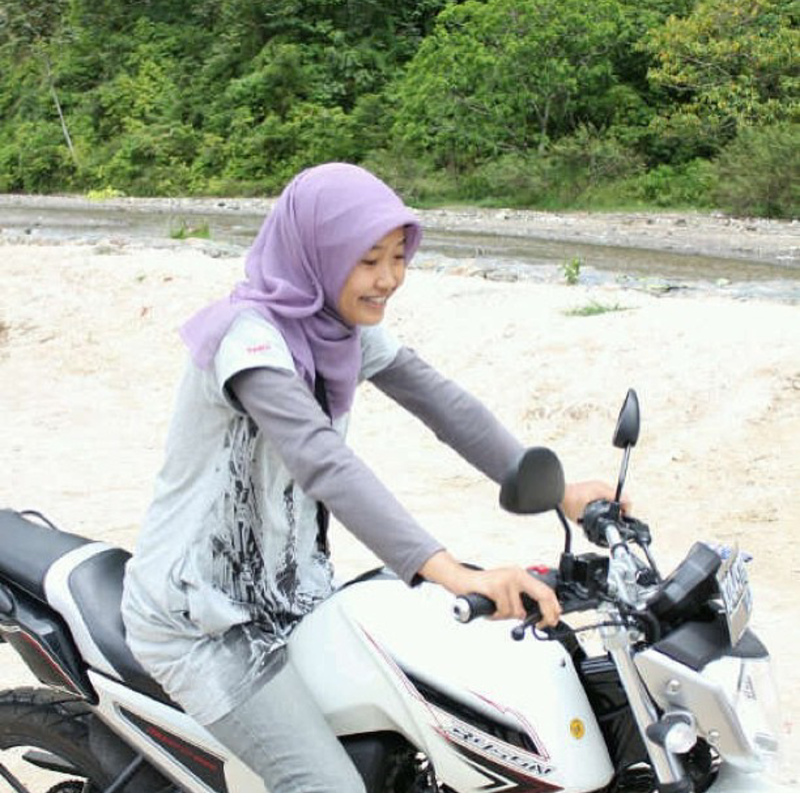 Since in the 3rd grades of Junior High School, I already ride(RODE) a motorcycle but in my neighbourhood only. After entering Senior High School, I ride(RODE) my motorcycle to school everyday. I didn't choose public transportation because I was really a last minutes girl. I couldn't get ready early, I would be late if I chose angkot. I easily got motion sickness when I travel to another town by bus. I was often biking(BIKED) from Purworejo to Jogja by myself. It took 2 hours. My longest solo journey by motorcycle was Purworejo to Solo, four hour drive. I don't easily GET motion sickness again the last few years. Thanks God so I could take travel(COACH) to Pekanbaru. Travel(COACH) is a private car, but use(IT IS USED) as a public transportation with (A) license. The car is usually Panther or Innova. I often went to Pekanbaru because I have(HAD) a close friend since Senior High School (WHO) live(LIVED) there. We (WERE) already as close as a family. Once in two months I went to Pekanbaru to visit her and watching movies at Cinema 21. There's no 21 Cinema in Padang, so watching a movie in Pekanbaru was a luxurious thing at that time. When I stayed in Bukittinggi, I went to Pekanbaru once a month because Bukittinggi is(WAS) closer to Pekanbaru. I needED to went(GO) home more often to keep my life balanced. 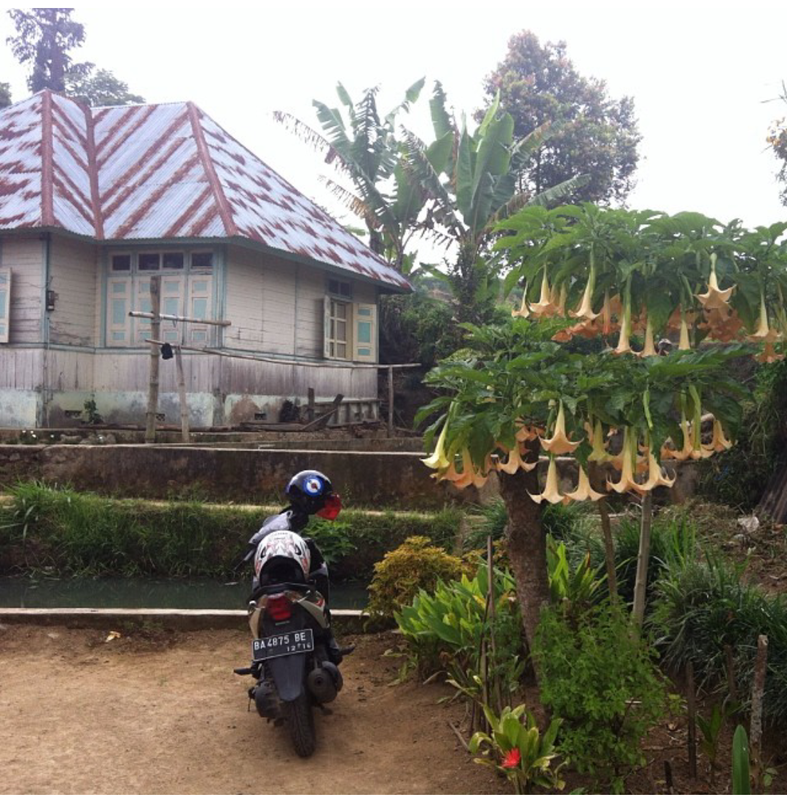 I was a little bit stressed up too long staying alone in West Sumatera. I chose A flight from Pekanbaru because the direct flight availability from Pekanbaru to Jogjakarta. IT WAS cheaper and faster to reach home. While I WAS in Bukittinggi, I walked to my office, it only took 10 minutes. The weather in Bukittingi is(WAS) really fresh, that's why I love walking(LOVED TO WALK) around my neighbourhood. I like walking because its(IT HAD) plenty advantages for our health. But I still went here and there for my daily needs by motorcycle. After I moved to Bintaro, I have not been riding motorcycle everyday just like before. I can go to my college and groceries on foot. Actually, when I had just moved here a year ago, I still often go to college by riding my motorcycle because I couldn't afford the "human traffic". It's not the kind of human trafficking, haha. The way from my home to college is not large. The alley only passable for five people. But my junior in the college, which is 7 years younger than me, really like to talk with their friends in a line, make the alley full only by their groups. Many other students have to walk slowly following them. They are usually laughing or talking loudly, so they can't hear if we say "excuse me" several times to them. Really difficult to pass them. It's caused the human traffic. As a last minutes person, I really annoyed by their behaviour. I don't want to late, but I also don't want to go early, haha. Another semester is coming, my schedule isn't at the traffic jam hour of the alley anymore. So I can enjoy to walking. I need to visit my parents once in two months. Moving to Java gives me many choices of transportation to go home. I can choose a plane, train or bus to reach my hometown. When I still have big amount of savings I choose the plane, so I still called as a frequent flyer. As times go by, with my student salary, which is much different with the salary when I still worked, I change my choice of public transport to train because of its affordable price, safety, timeliness and the cleanliness. Indonesian train isn't dirty and chaotic just like years ago, changing people preference to choose the train to travel. If I need to go to Jakarta (Bintaro located at Tangerang Selatan), I usually ride my motorcycle to reach my destination. Cheaper and faster than the public transportation. Since the new regulation prohibited motorcycle to cross the Thamrin Street, sometimes I choose to go by Commuter Line and continuing my journey with transjakarta or taxi. Commuter Line is really efficient for the money and time. Trans Bintaro Bus is also available near here, so if the weather is not friendly for motorbiking and I am lazy to crammed in Commuter Line, I choose it. Ojek is really helpful when I need to go to airport transport feeder or to train station. The place that I am living for now is giving me plenty choices means of transportation. Hi Mbak Nia. Just reading your post just now. Hehehe. Human traffic. This is the first time I read about this but I totally agree with you. It is a very annoying behaviour. Sometime I just kind of shout to them if I already say excuse me several time. Which usually followed with their "who do you think you are" kind of look. Hahaha. Btw, can I give a correction? Why I really love riding a motorcycle? Always have "do" after why/what/where if it is present tense. Or to be if it is present continues. Perhaps, if I'm not mistaken, only who can follow by the verb directly. Cmiiw. I forgot to ask you this. Do you join the learning group? If you are please whatsapp me. I want to put you as one of the members to be reviewed on Monday. you have been to many beuatiful cities right, ?